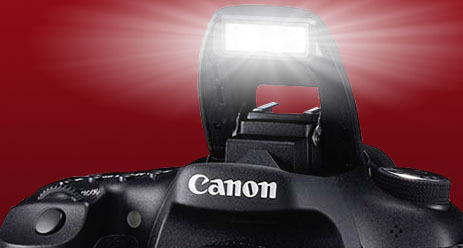 Here is the step-by-step method on how to adjust the Canon 70D Pop-up flash brightness. This will help you get the right exposure in those situations where the automatic setting doesn't give you the results you want. I've found that it doesn't happen very often, but there are some unique situations where you will want to know how to adjust the brightness of the 70D pop-up flash. You can avoid the frustration of not knowing what to do when a situation arises by learning this simple adjustment ahead of time. Find and push the menu button on the top left of the back side of the camera. Use the rotating thumb-wheel on the lower right of the camera back to scroll across the tabs. 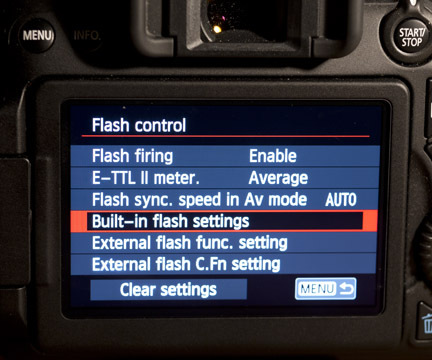 The EOS 70D Flash settings can be found on the second tab in the menu. Use the outside of the wheel and rotate it to scroll to your desired selection. Select your choice by using the center button on the 70D thumb-wheel. Scroll down to the Built-in flash settings. 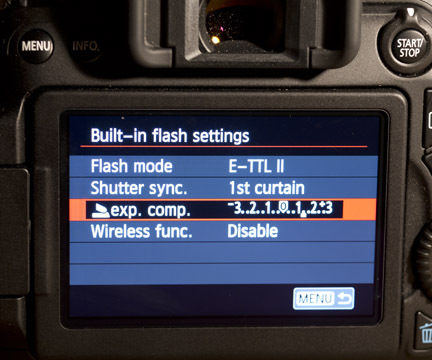 Notice that below that selection are two choices for settings related to an external flash. 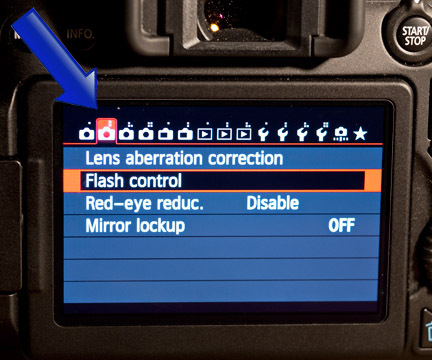 Select the Built-in flash settings by using the center button of the thumb-wheel. You will see the following exp. comp. 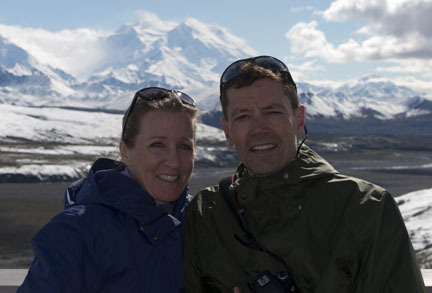 with the sliding scale from minus 3 f-stops to plus 3 f-stops. 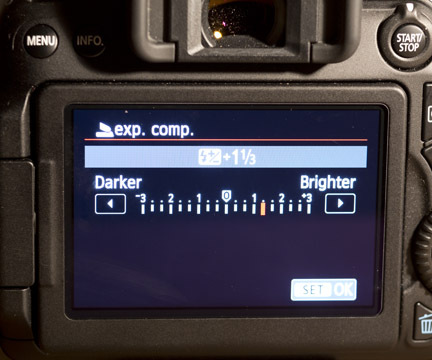 Select that and you will arrive at the screen that actually lets you add or subtract light output on the Canon 70D's pop-up flash. You will see almost the exact same exposure scale when you adjust external flash that you have mounted to your camera's hot shoe. Now just slide the indicator to the desired under or over exposure setting you want to try and select it. This seems like a complicated journey just to change your Canon 70D's flash output and that's a valid criticism. Once you do it a few times, it does become easier. Modern digital cameras have a lot of technology built-in and it does take some effort to learn. I switch off between two different Canon DSLRs and a Canon point and shoot, so it is always takes me a second to re-orient to whichever camera is in my hands. Another resource I highly recommend is for you to pick up one of the books dedicated to the Canon EOS 70D. I reviewed several of them here: Books on the EOS 70D. I have to confess that I didn't even know how to adjust the Canon 70D Pop up flash brightness before I made all these posts about my EOS 70D. I am not a big fan of pop-up flashes, but having the ability to fine tune the output makes it a more valuable tool with your lighting. Have a blast and play around with your camera settings! Just dive in. It's the best way to learn. More fill flash was needed from 70D pop-up because of strong backlighting. My wife and I were underexposed.